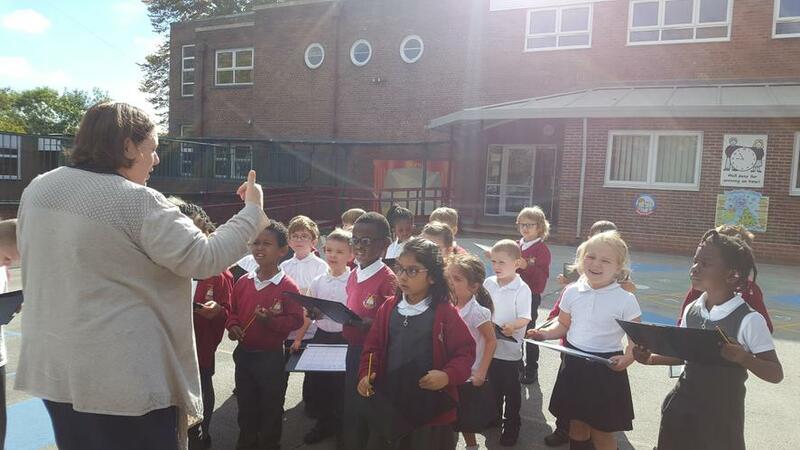 Mrs Hollingsworth, Mrs McGonigle and Mrs Oluremi welcome all the children in Year 1! 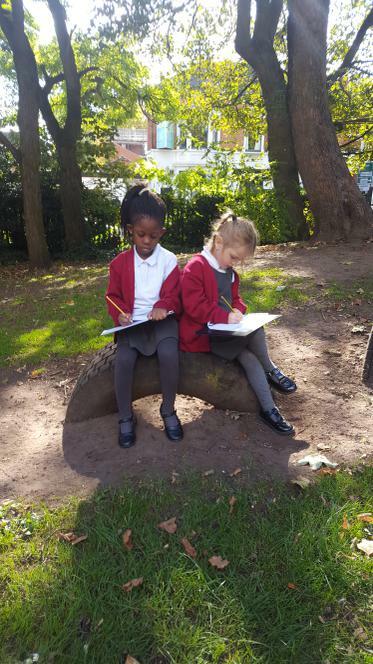 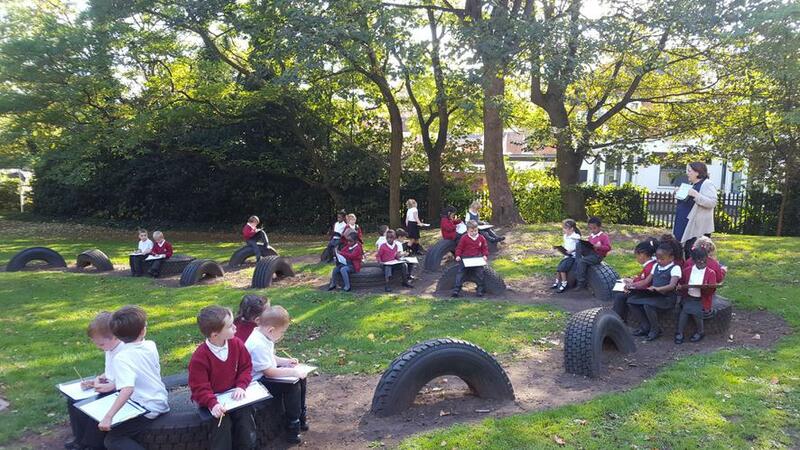 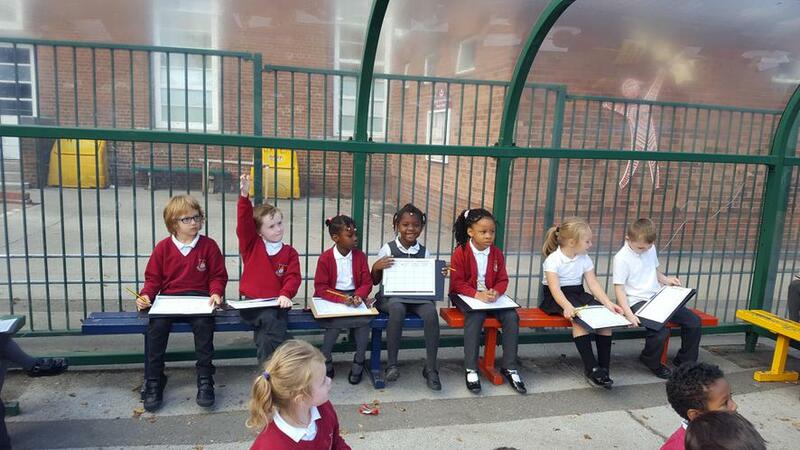 Today children in Year 1 were busy exploring the school grounds. 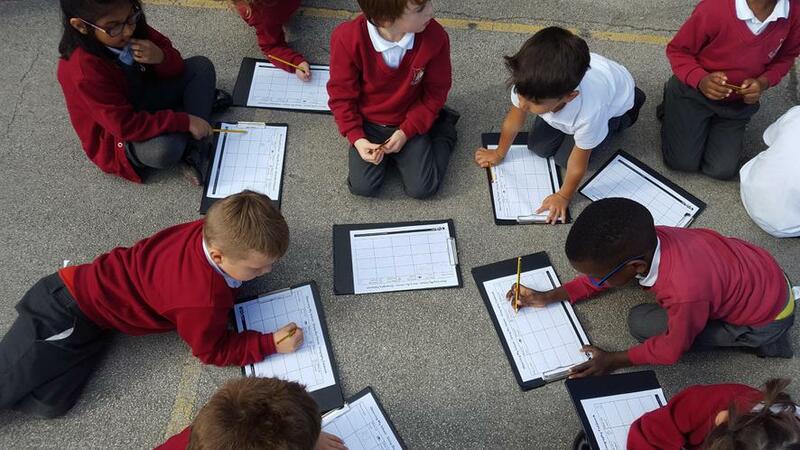 We discovered all the sounds around us, described what we could see, feel and smell. 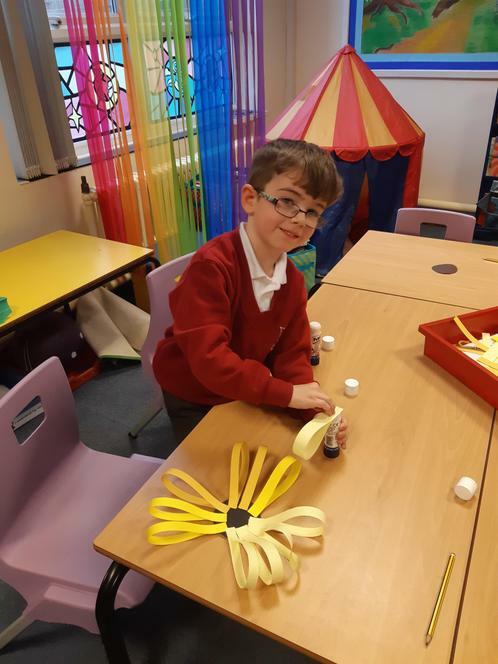 One busy afternoon! 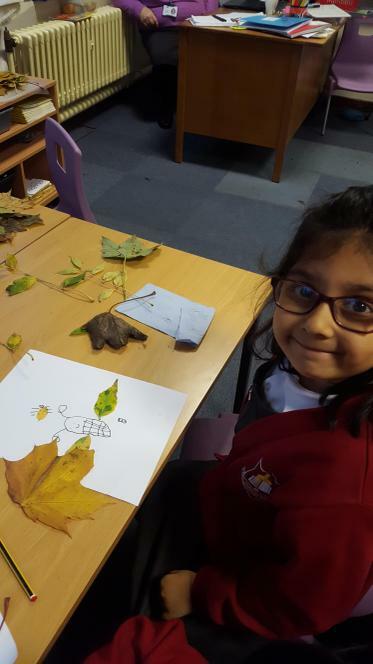 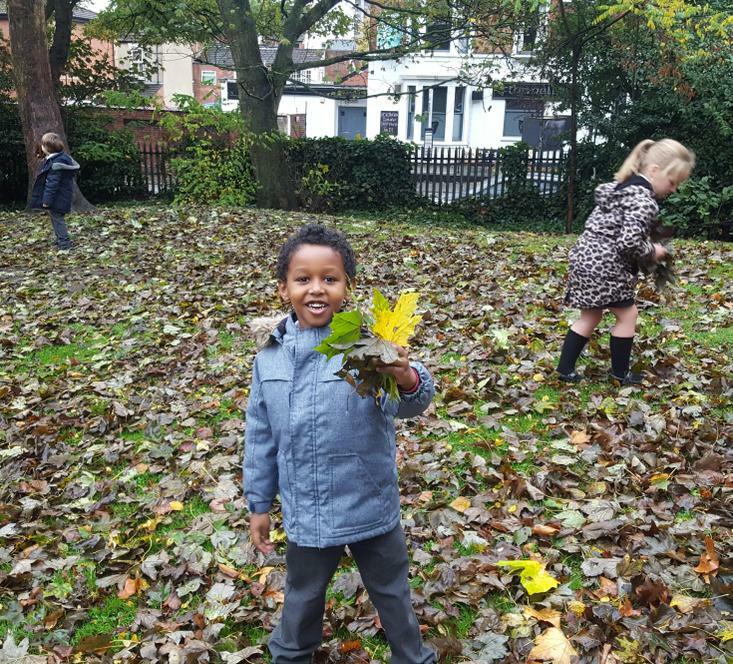 Today children in Year 1 were discovering how autumn is like using their senses. 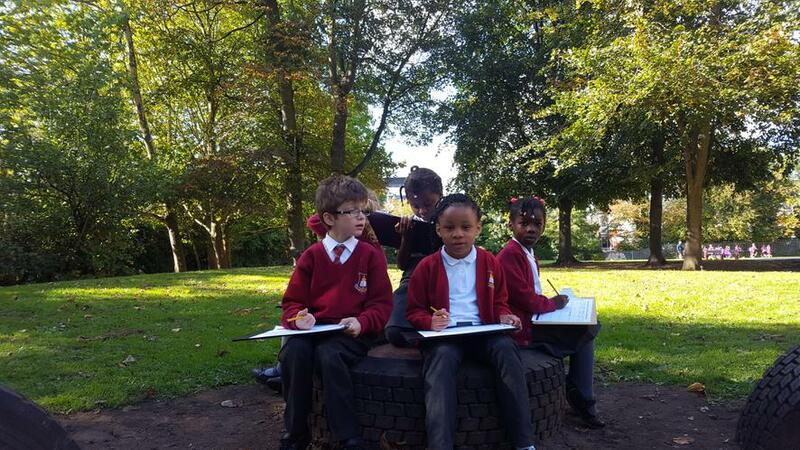 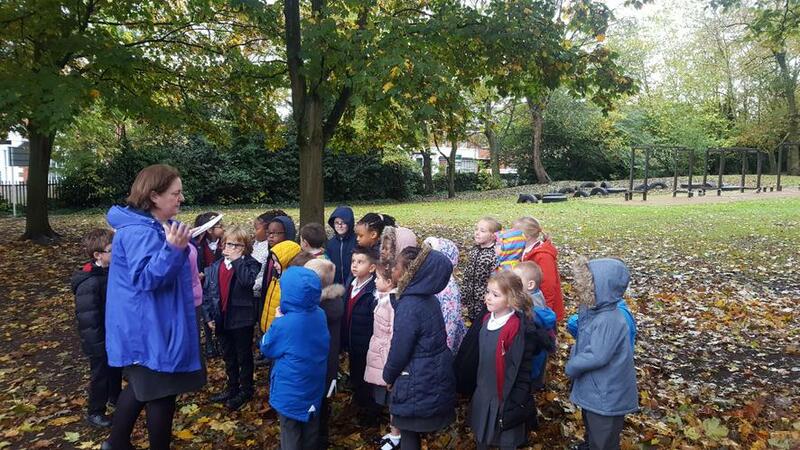 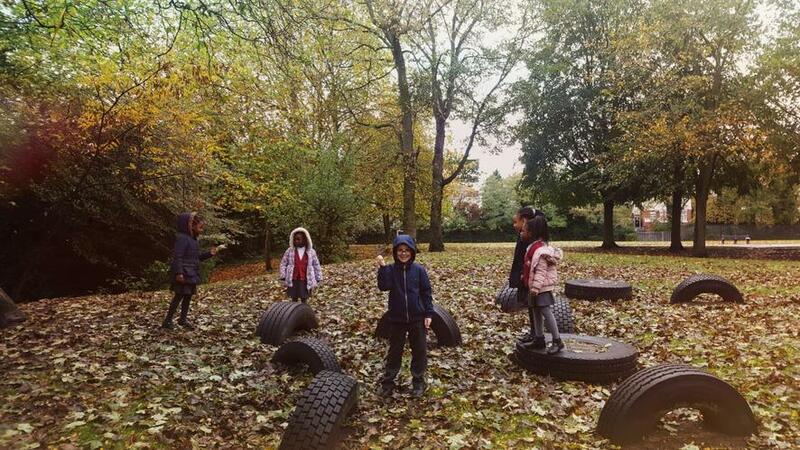 We observed the changes in our surroundings, such as the cold breeze on our faces, colourful leaves dancing in the wind and soft and squelchy mud under our feet. 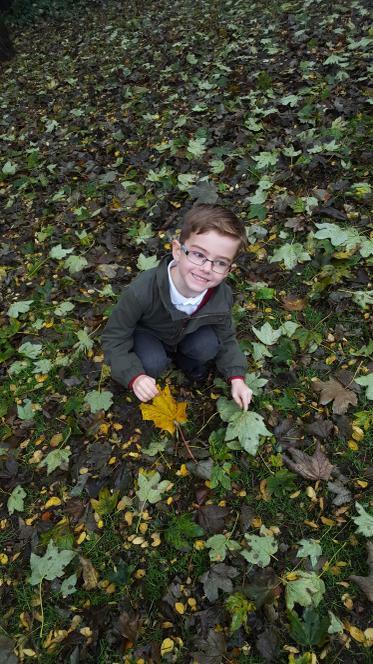 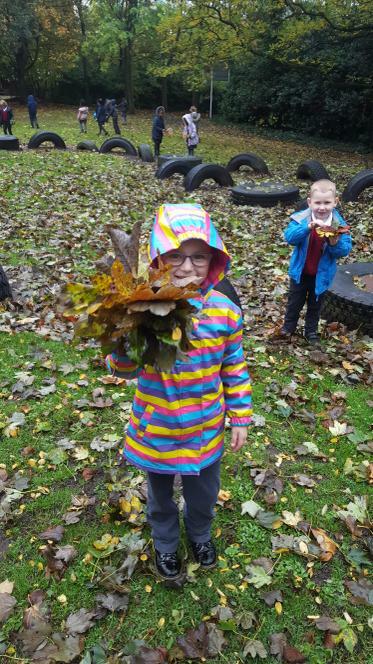 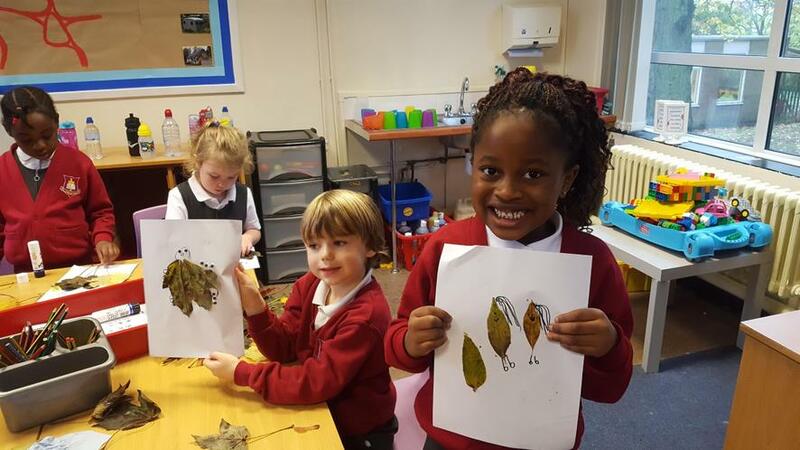 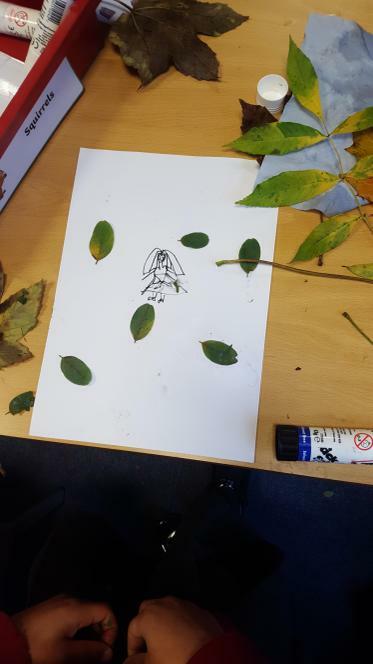 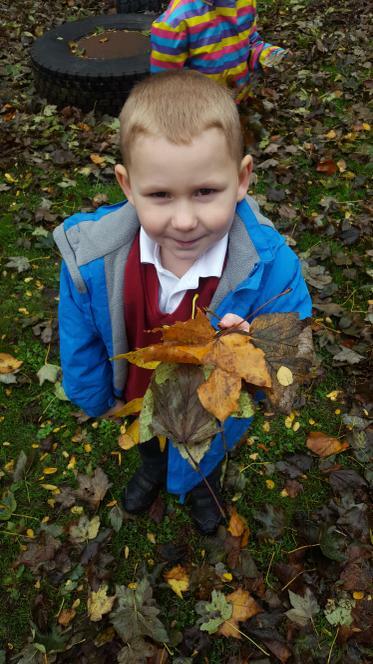 We also collected some leaves which were later used to create some fantastic pictures. 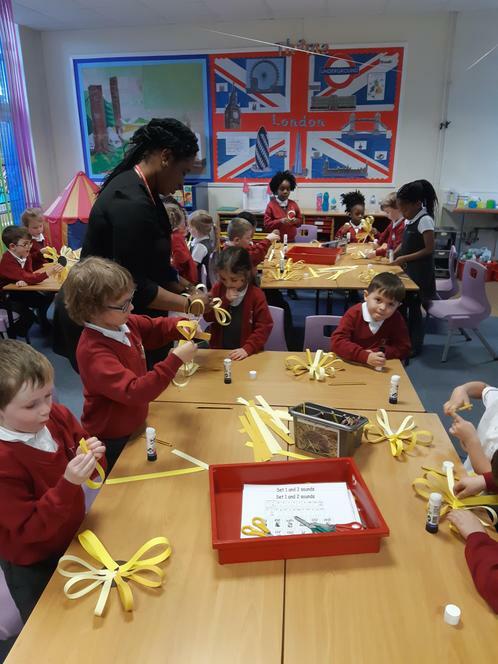 Today the children in Year 1 had a wonderful time working with this fantastically engaging and interactive book. 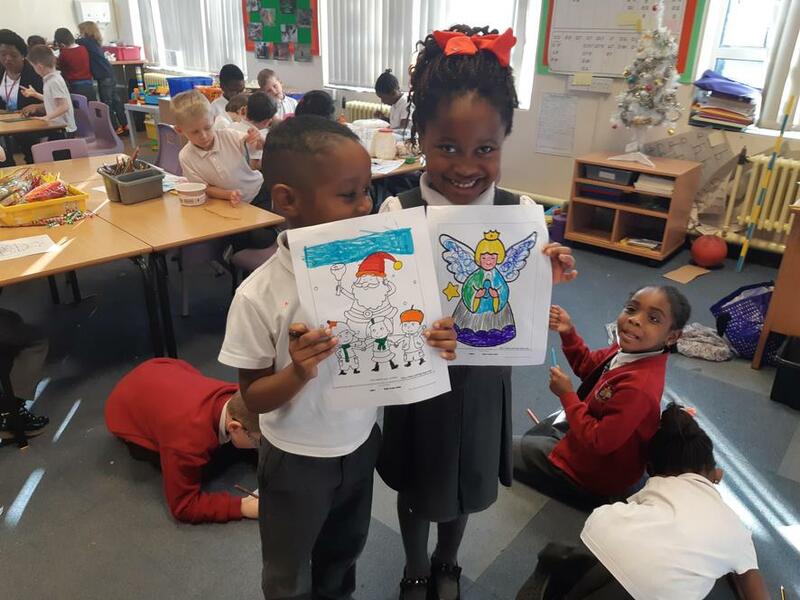 We used our imagination to discover new adventures on every page! 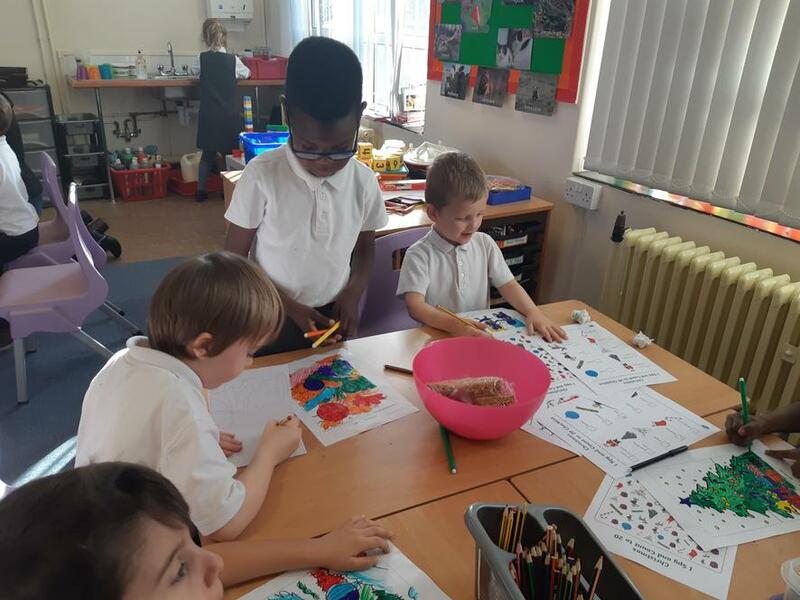 Today children in Year 1 found a colourful patchwork sack full of strange objects. 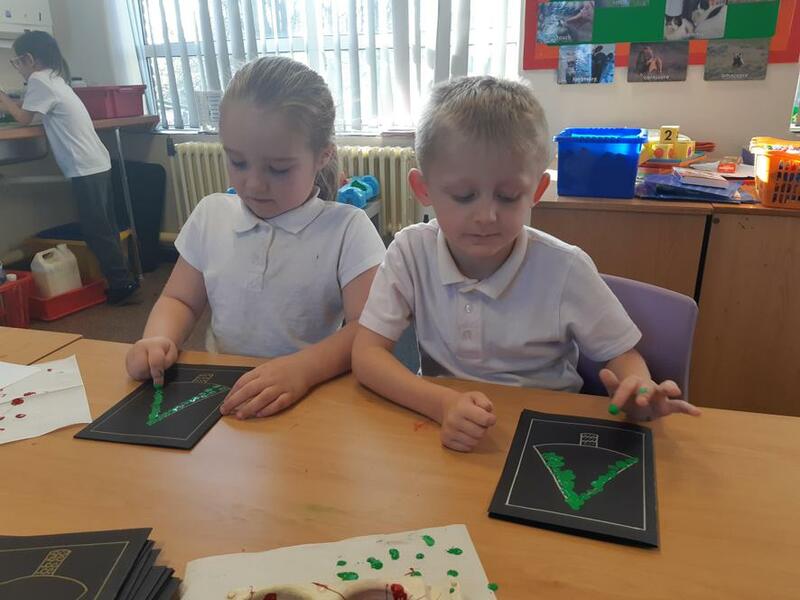 What were they? 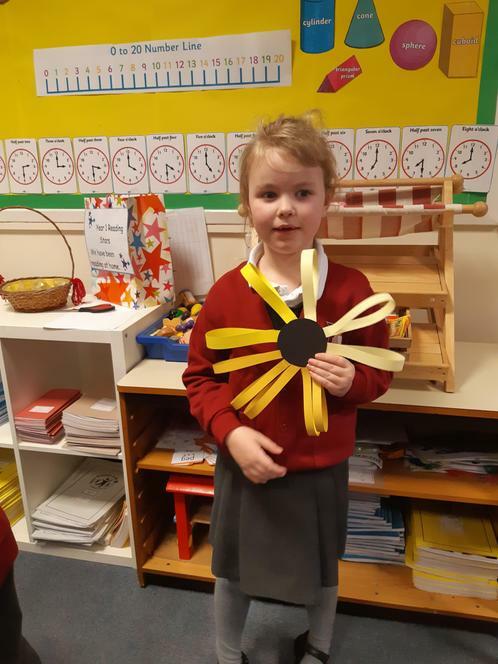 What Was the use of them all? 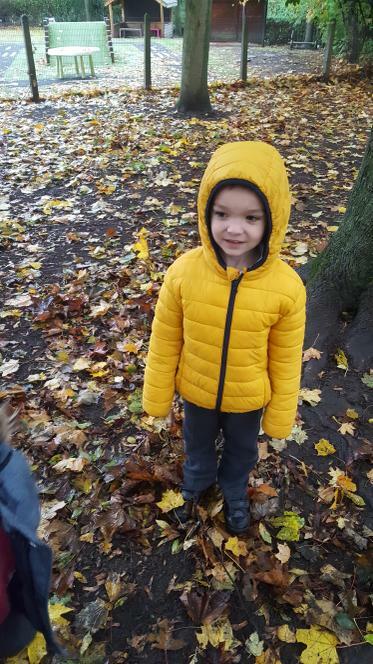 Together, we've joined Jack on his amazing adventure as he sails to the Isle of Blowyernose in the search for the only known cure for his granny's bad case of the moozles. 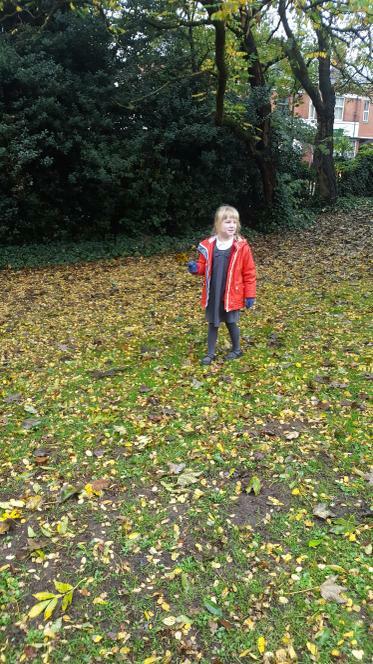 Will we find the fantastic fruit of the flumflum tree and make granny all better? 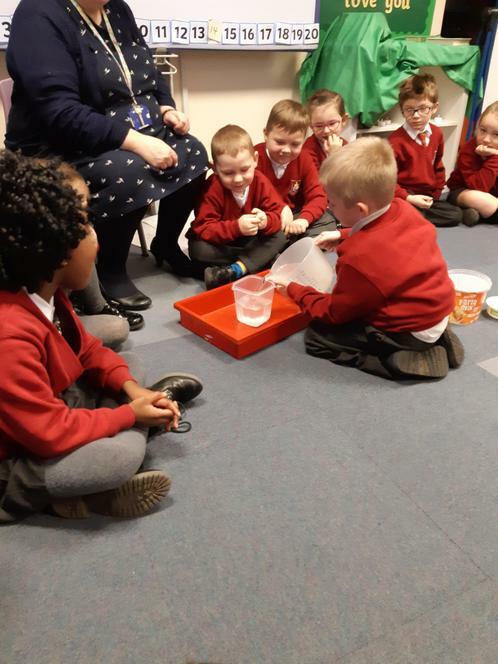 Today we've enjoyed a lovely treat! 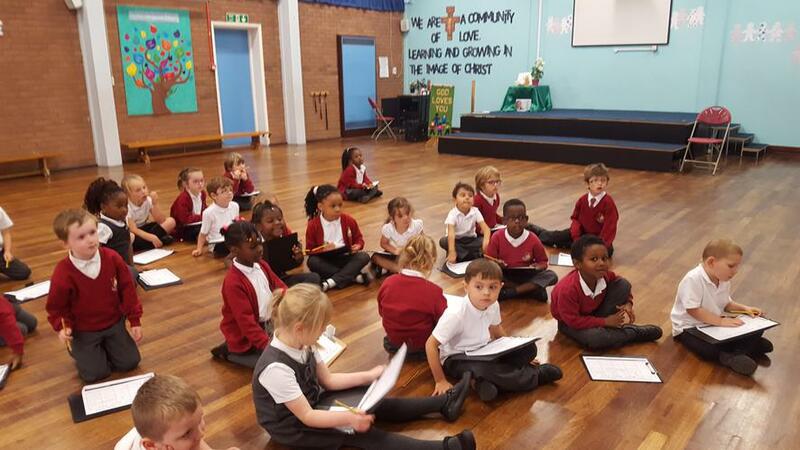 Year 1 had a chance to see 'Captain Underpants as part of the 'Into the Film' festival! 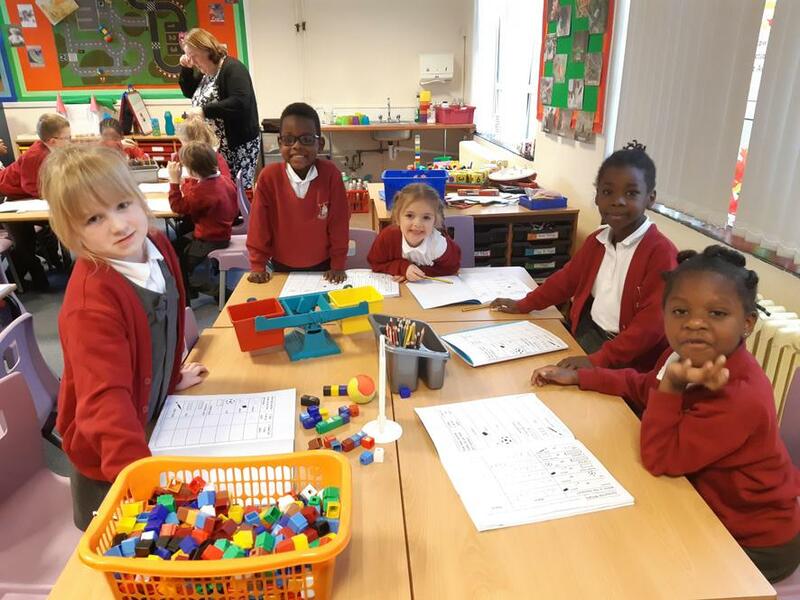 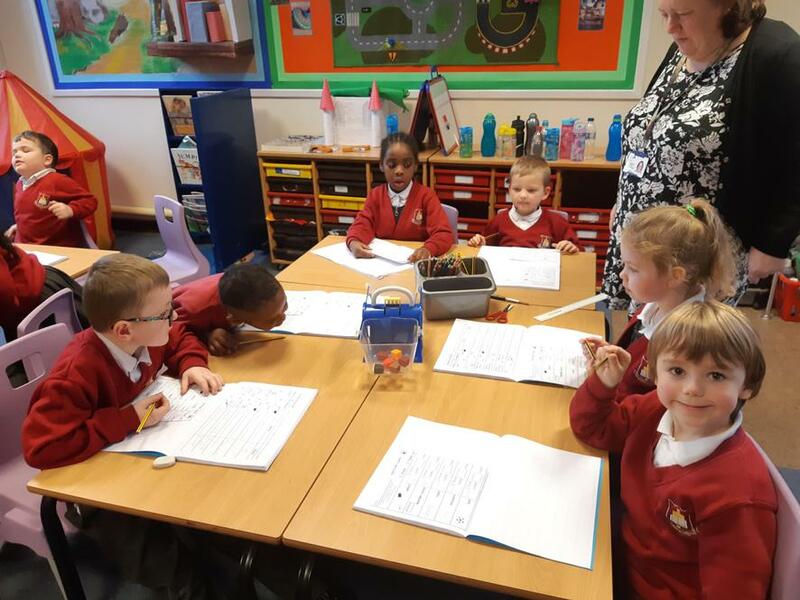 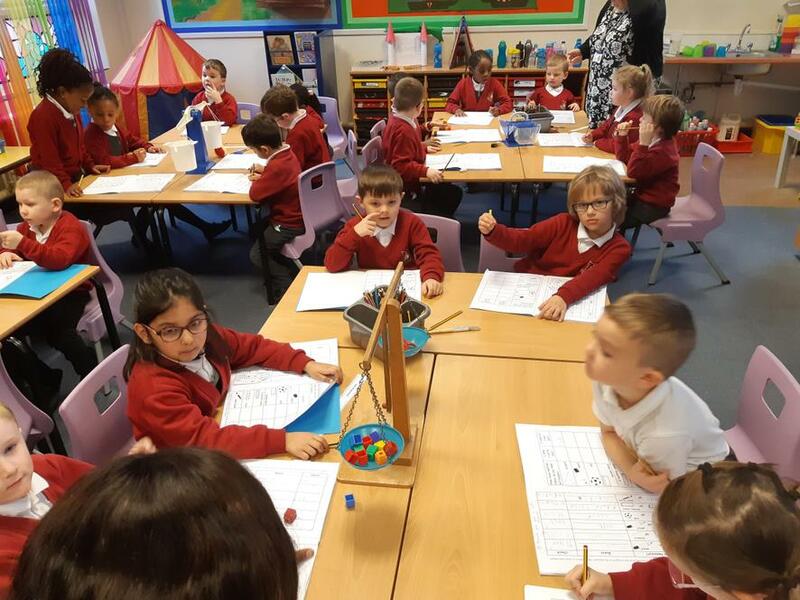 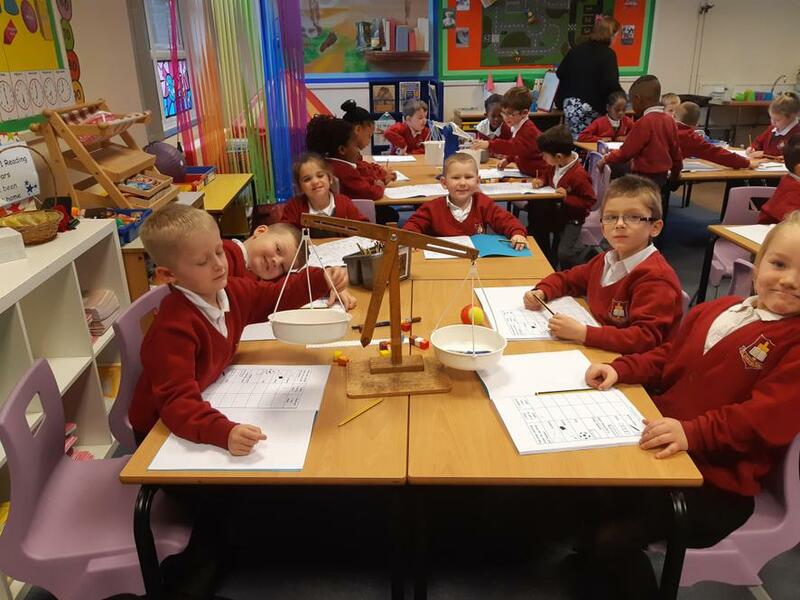 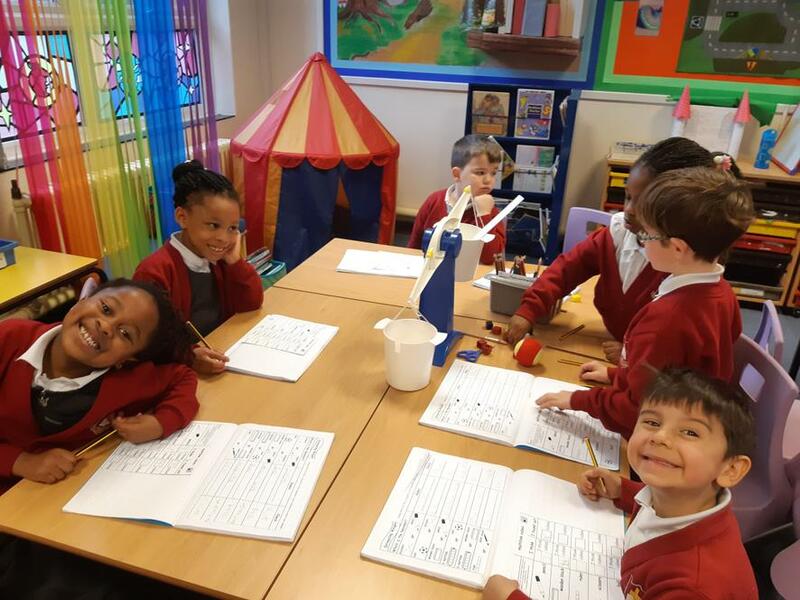 Today in year 1 children have been checking the weight of a variety of objects found in the classroom. 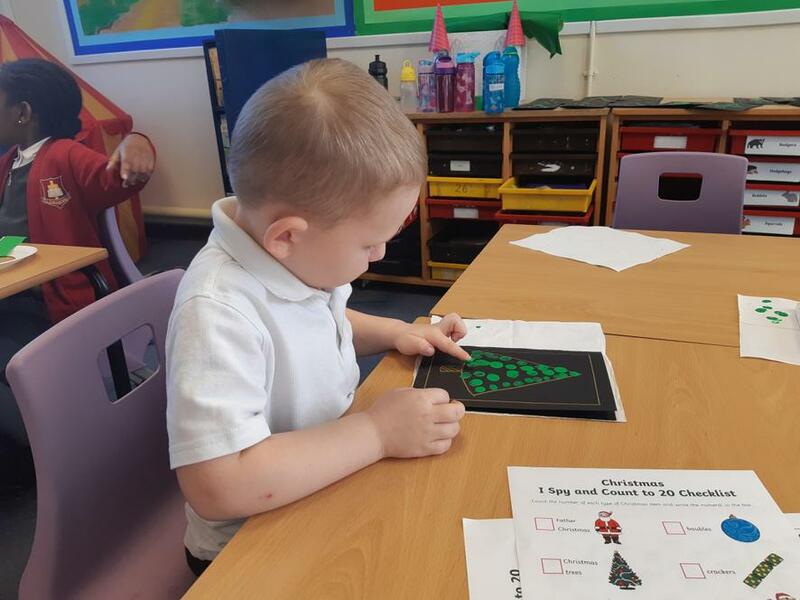 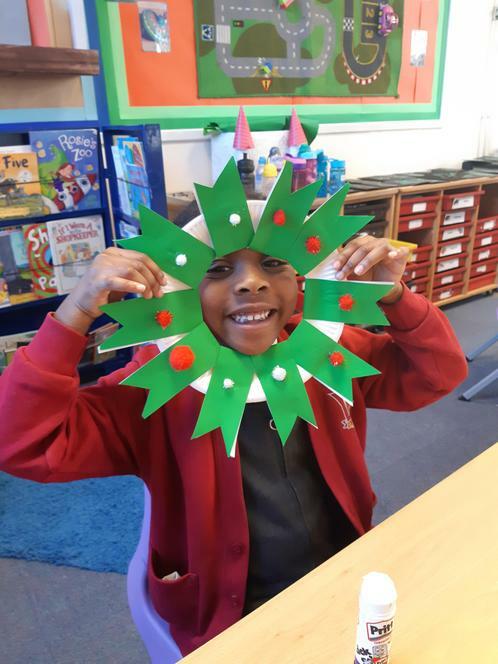 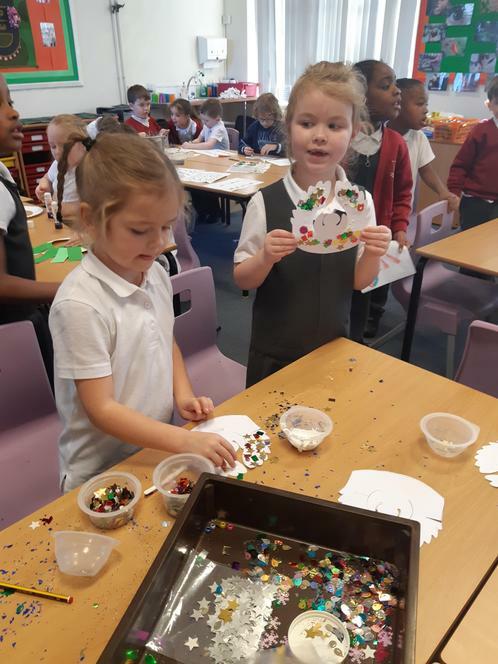 Oh how wonderful it is to create lovely, glittery decorations ready for Christmas! 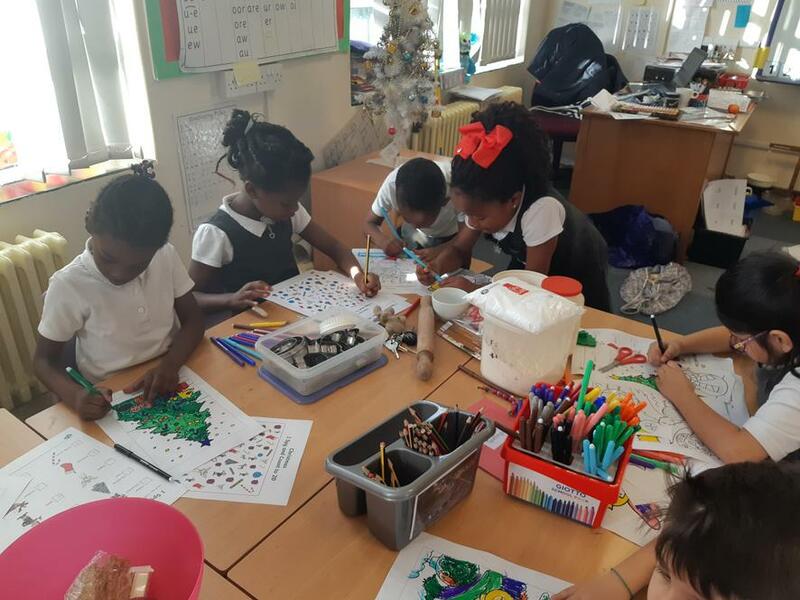 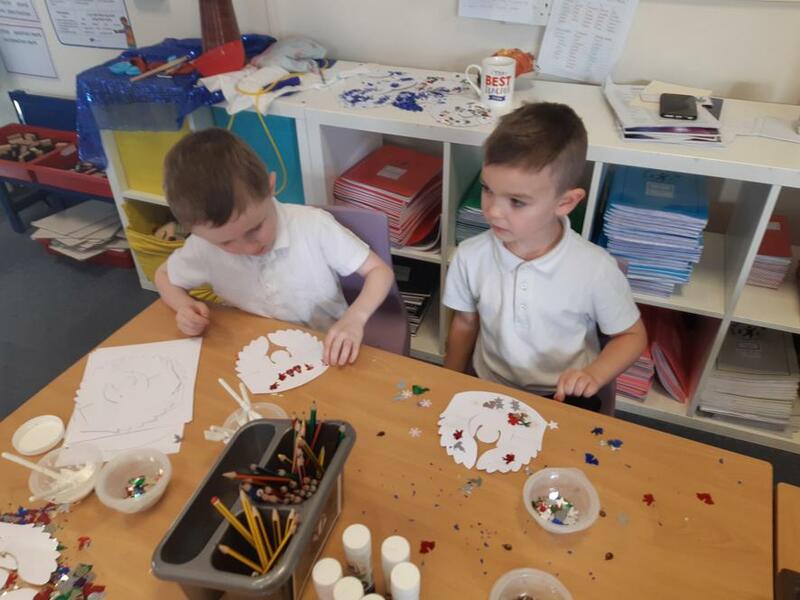 We all had a great time using glue, glitter and paint! 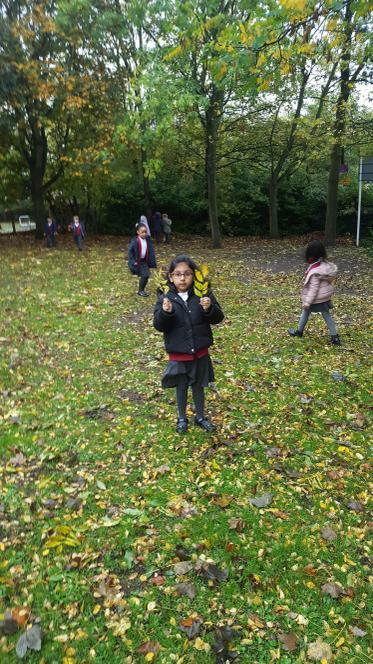 Today after playtime, children discovered some tiny footprints leading to our classroom! 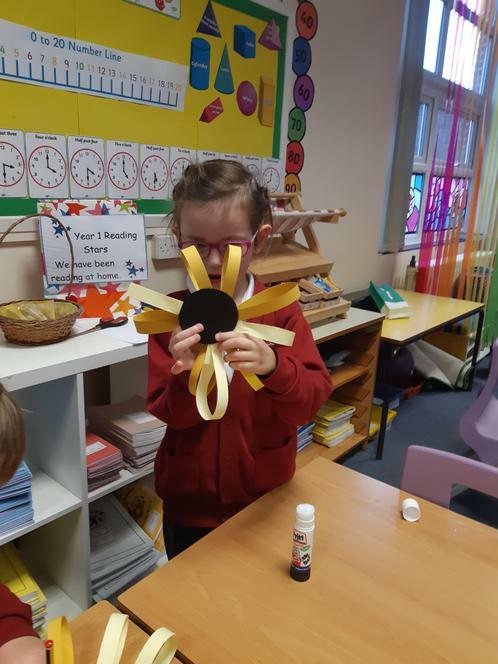 Who could it be? 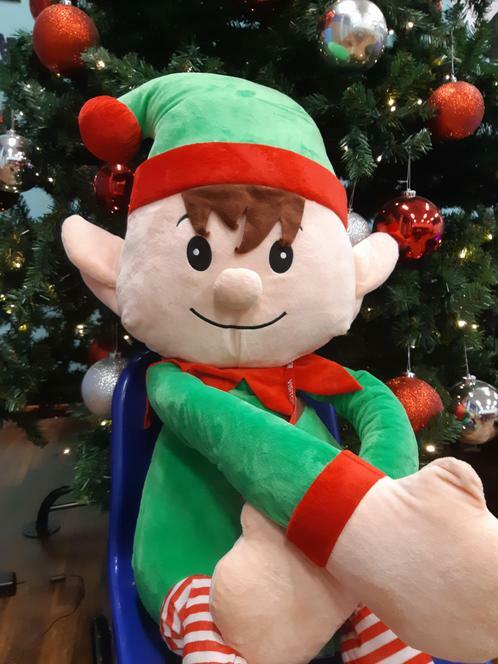 It's the Christmas Elf! 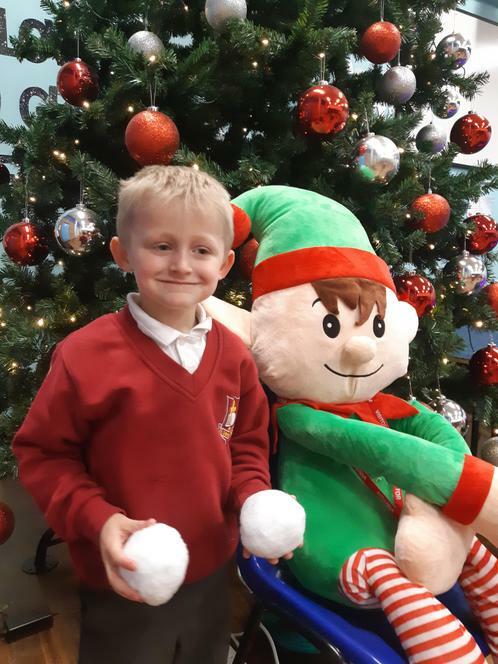 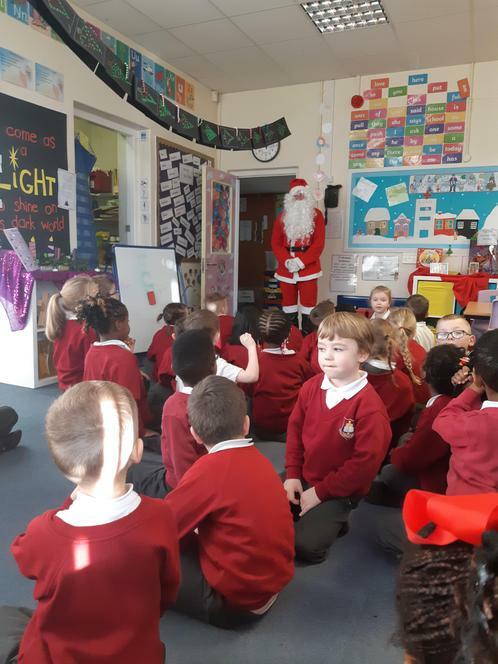 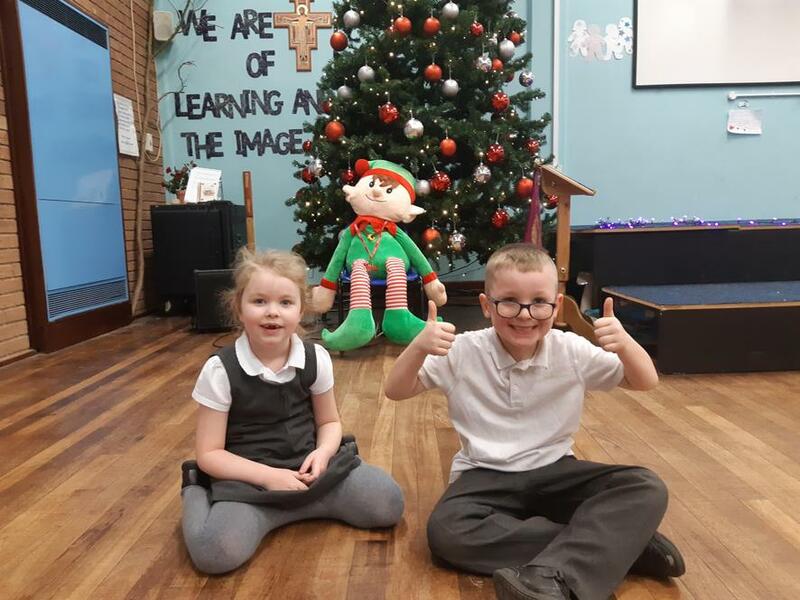 He promised to stick around for a while and brought a lovely gift of a selection of Christmas stories for the children to enjoy! 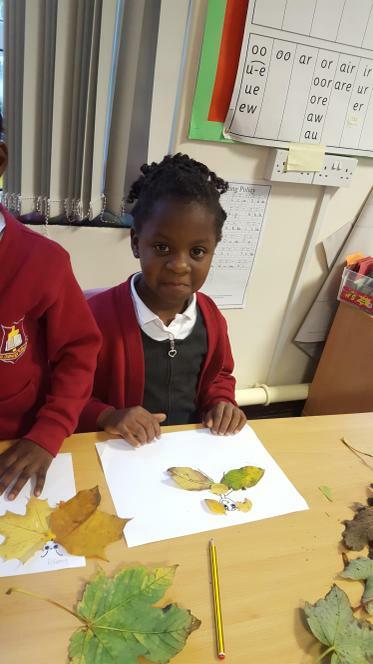 We have been learning all about a magnificent and very talented painter- Vincent Van Gogh. 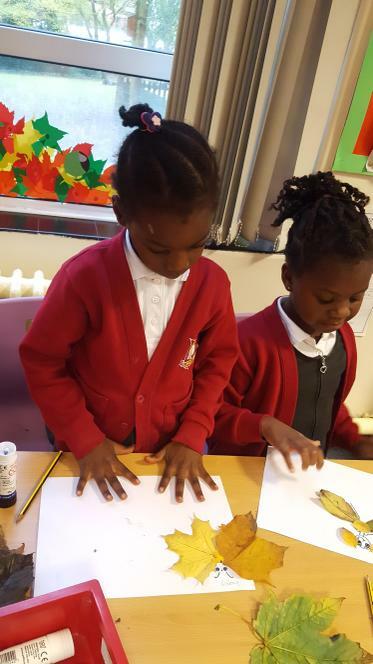 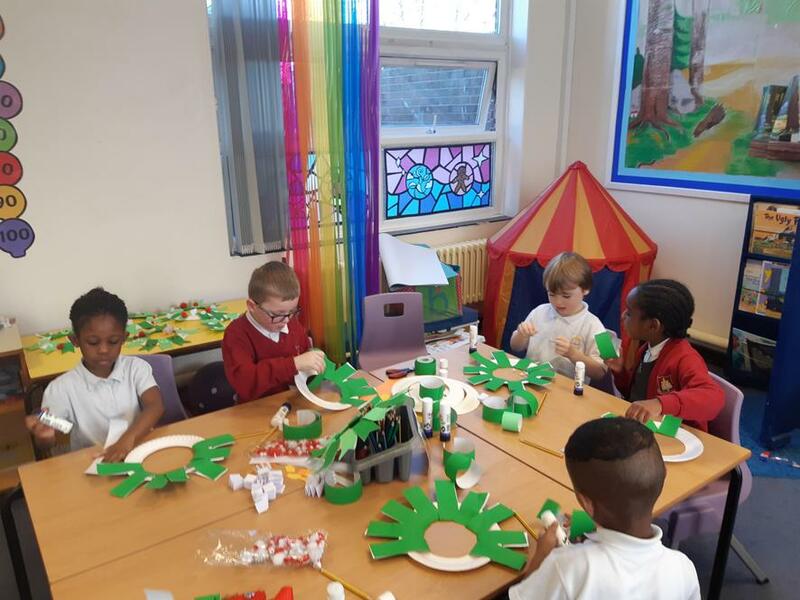 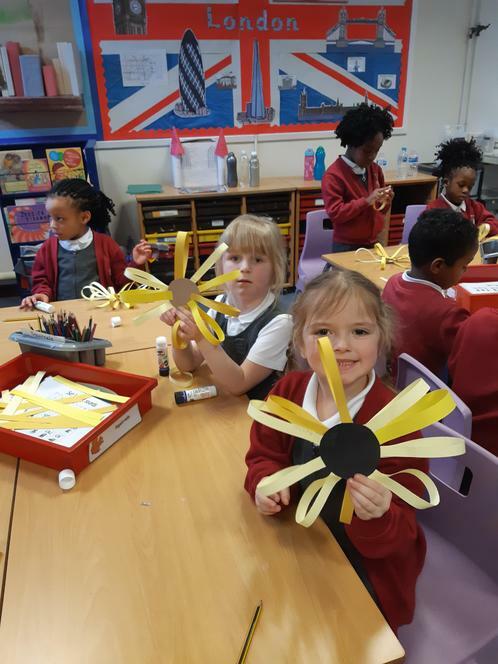 Inspired by his famous painting " Sunflowers ", children prepared their own works of art. 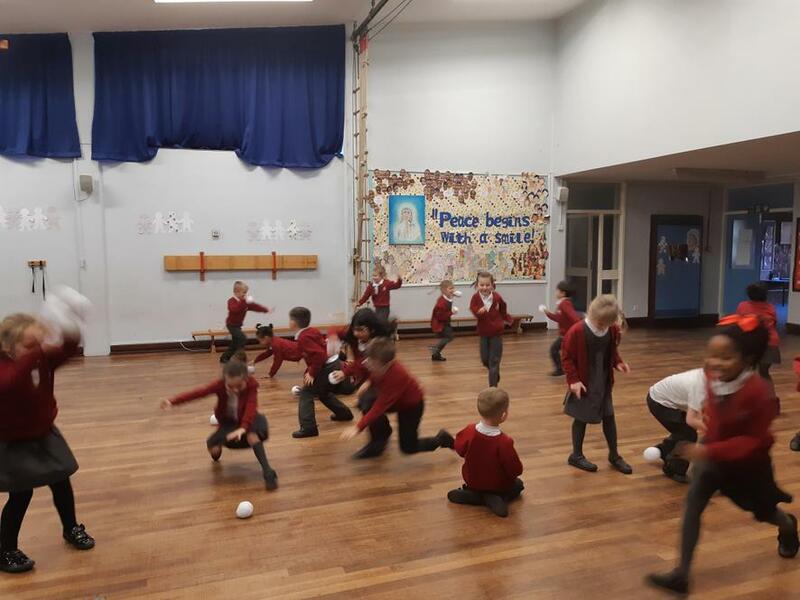 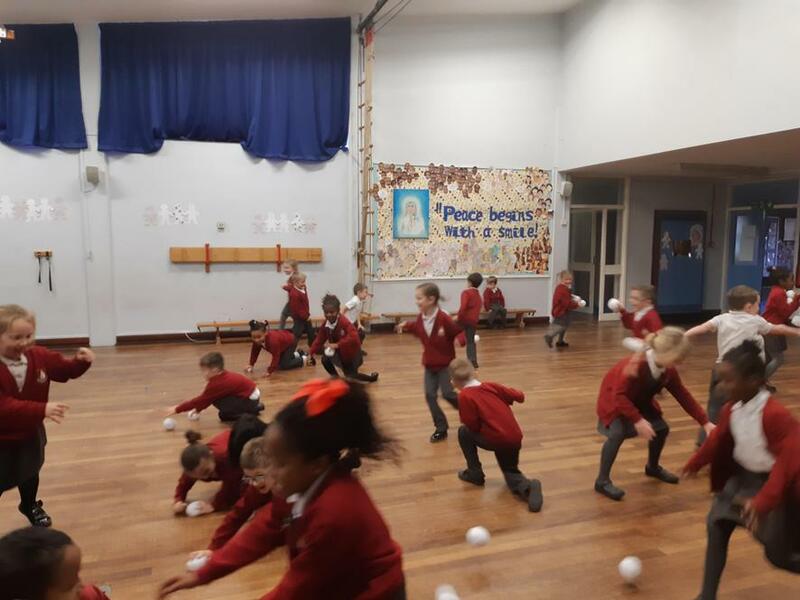 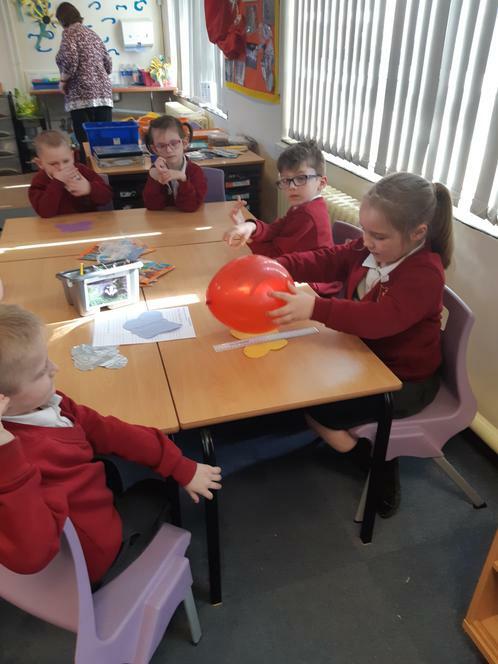 Year one have been discovering the meaning of the word "capacity". 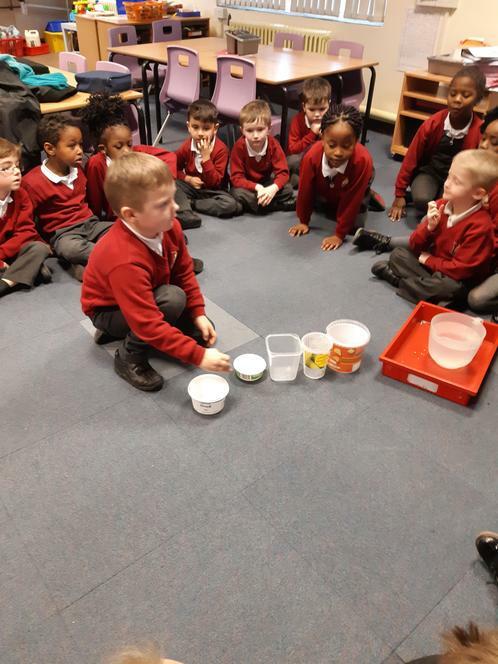 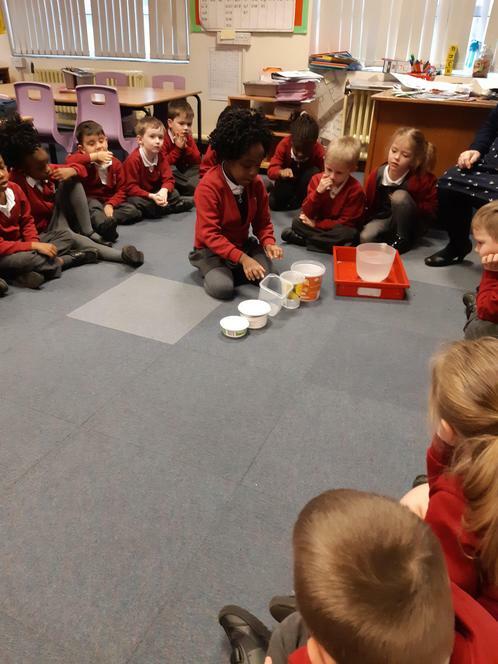 We tried pouring water in different-sized containers and checking which one can hold the most. 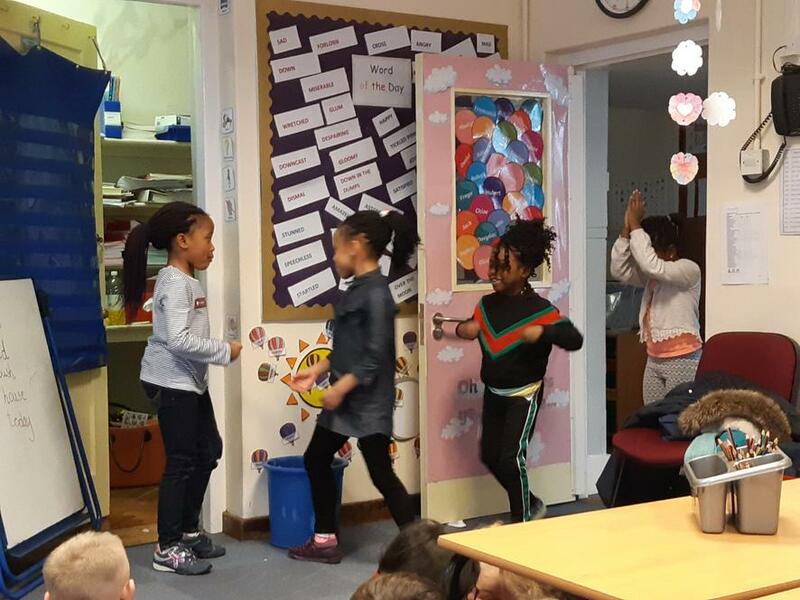 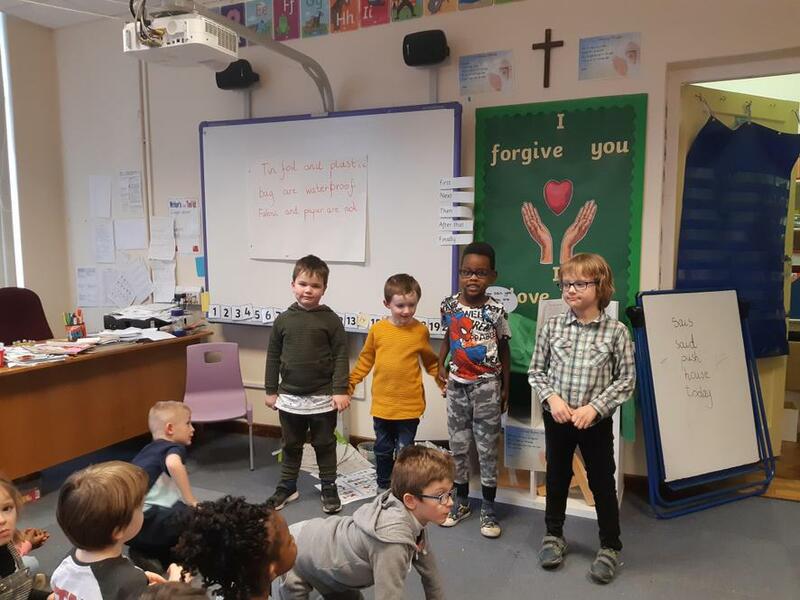 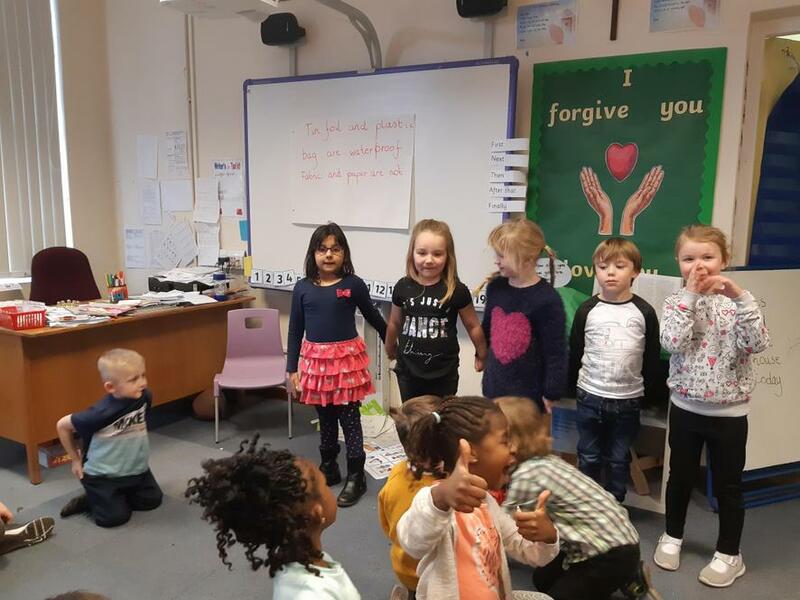 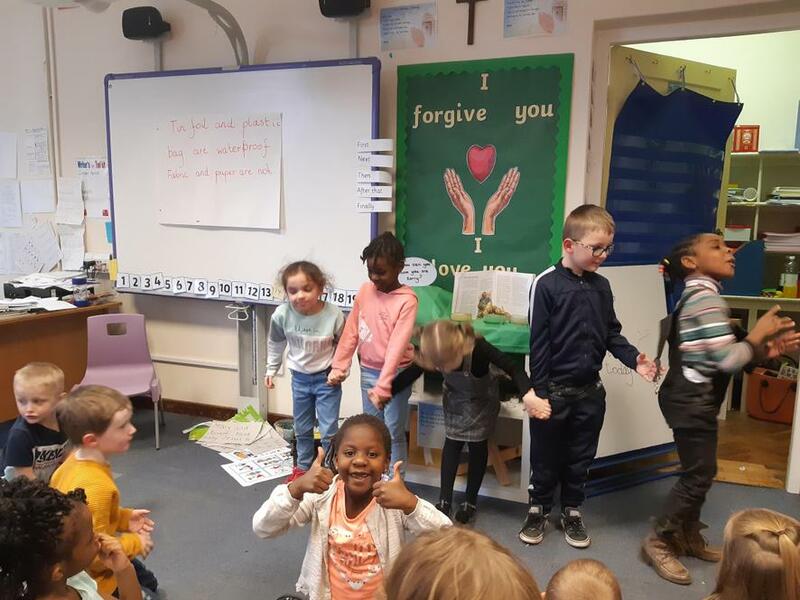 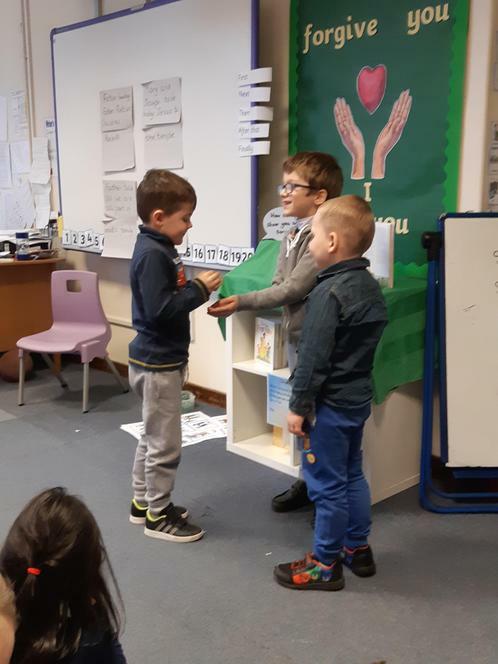 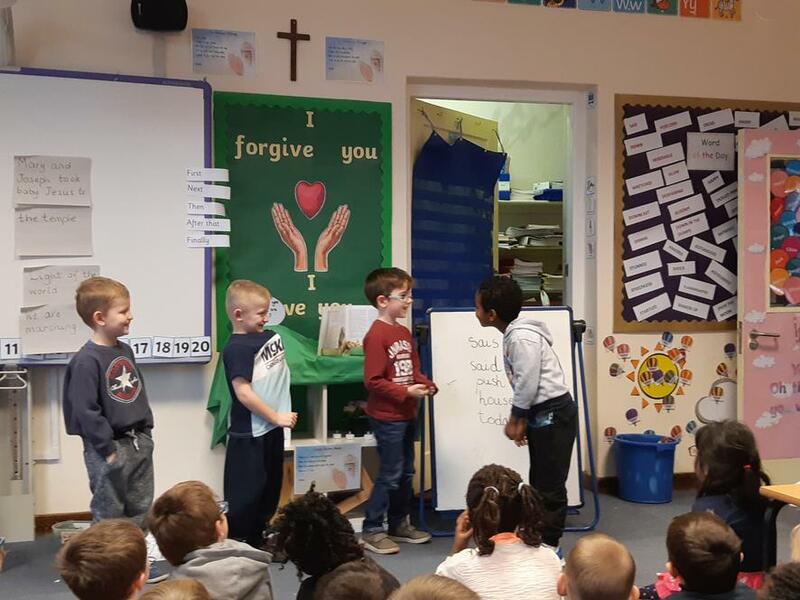 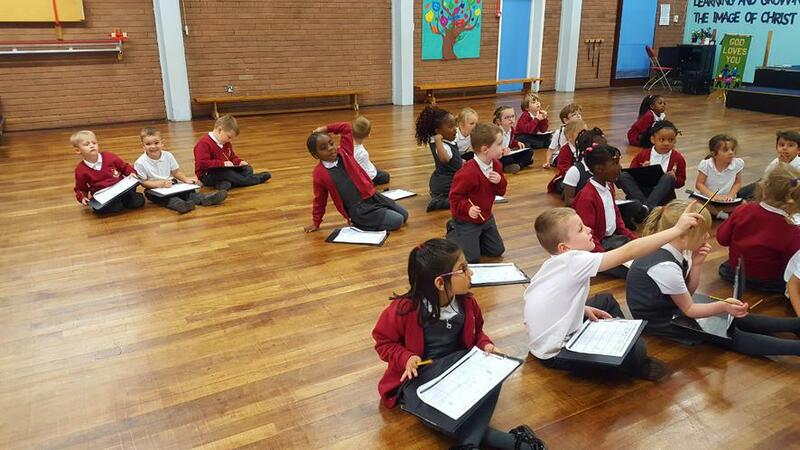 Today year one's classroom was filled with hungry tigers, as we used our drama skills to retell the story from the book. 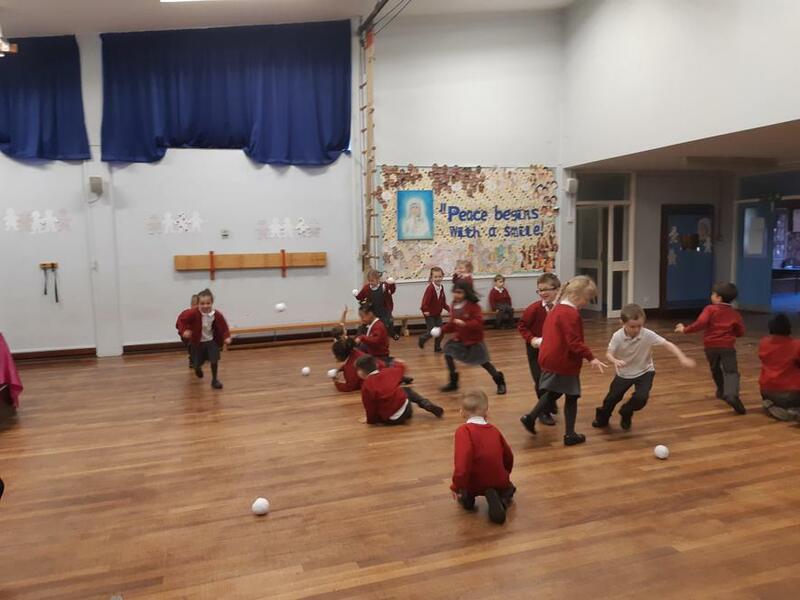 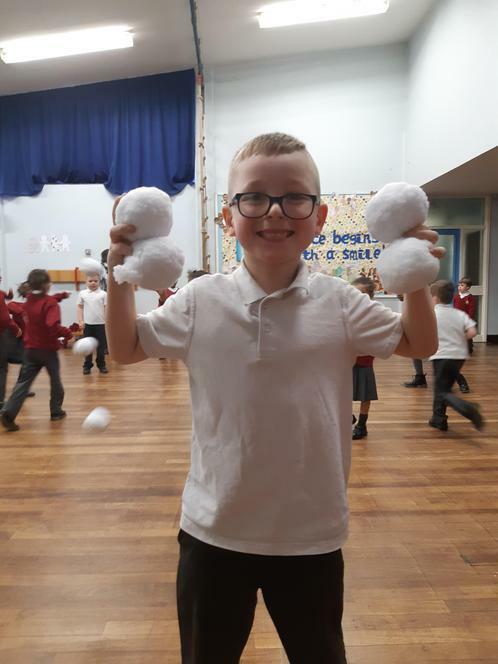 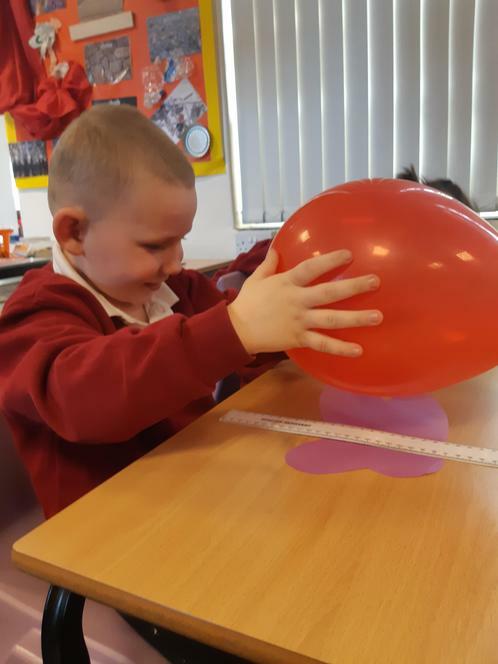 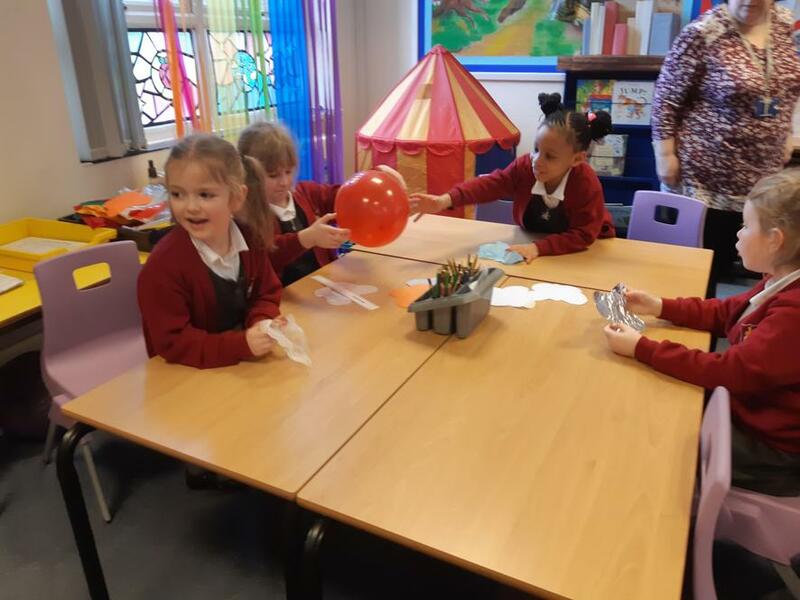 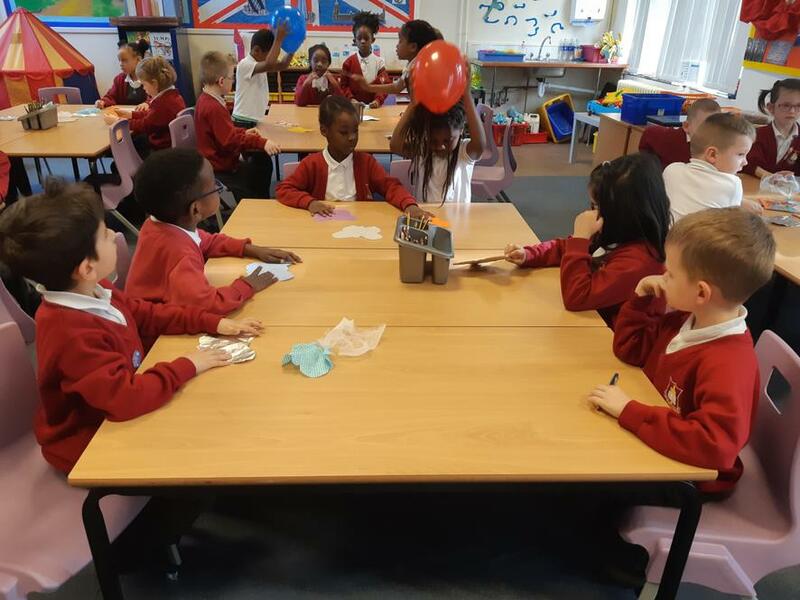 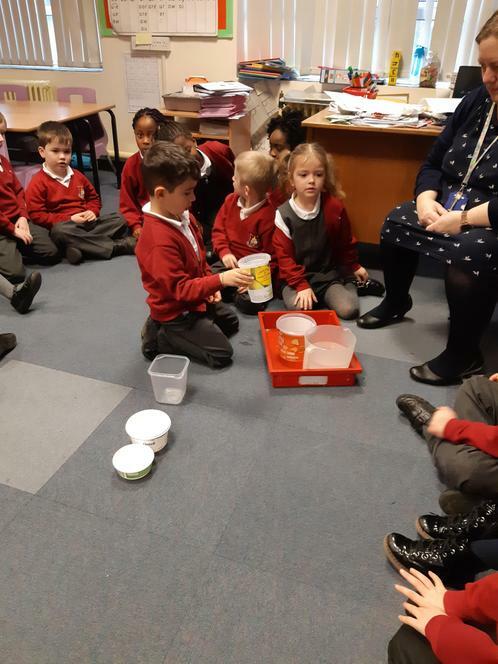 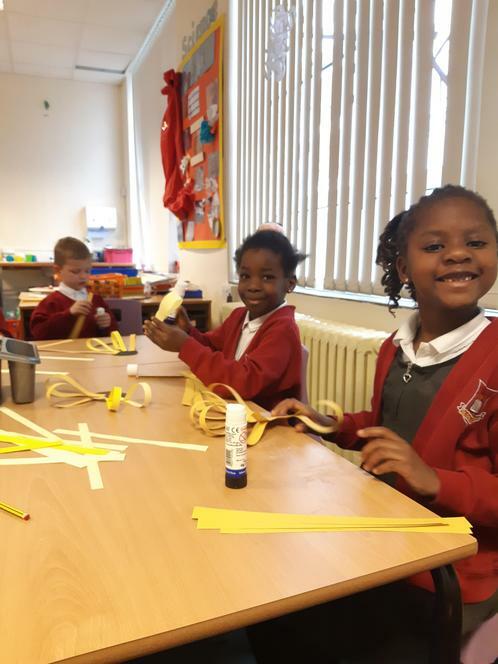 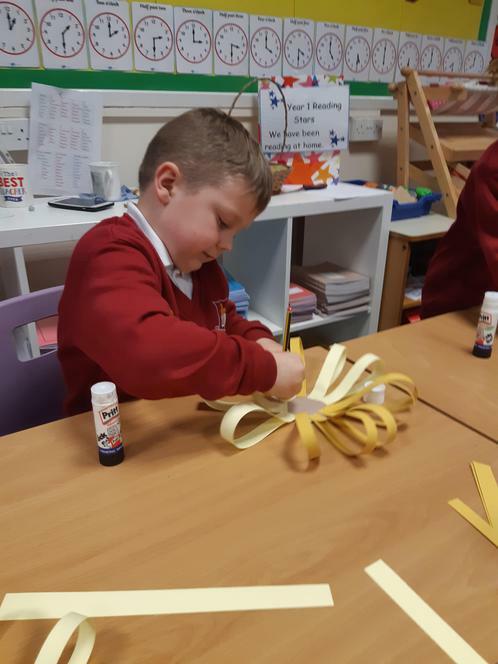 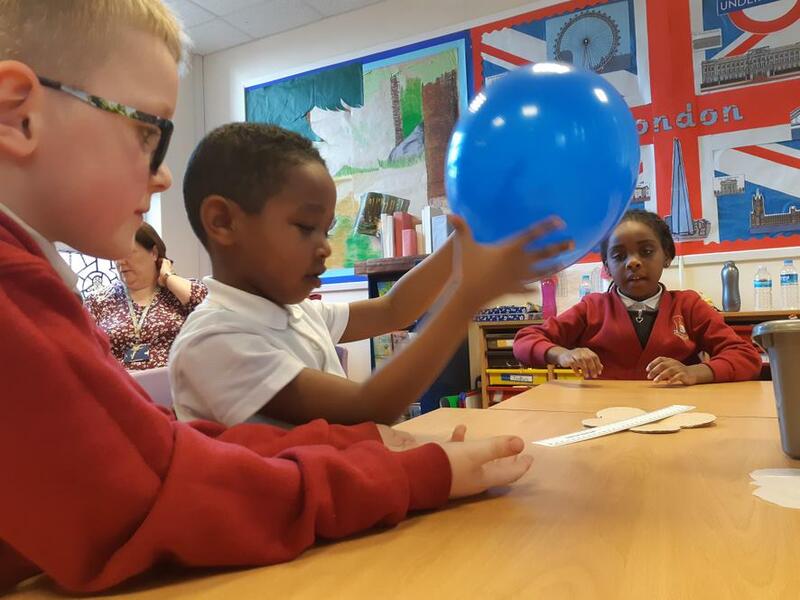 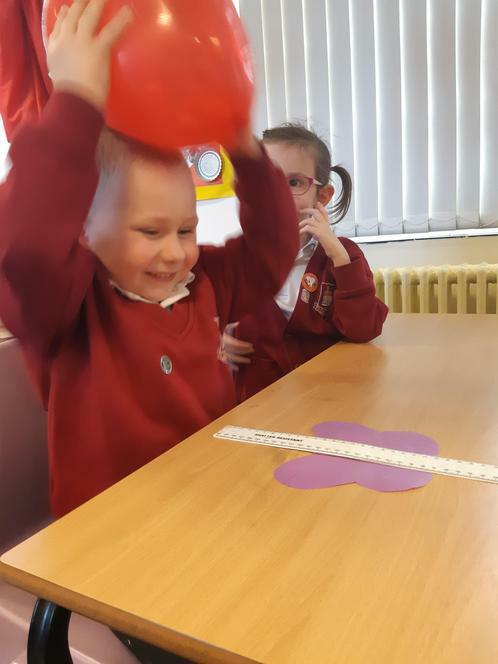 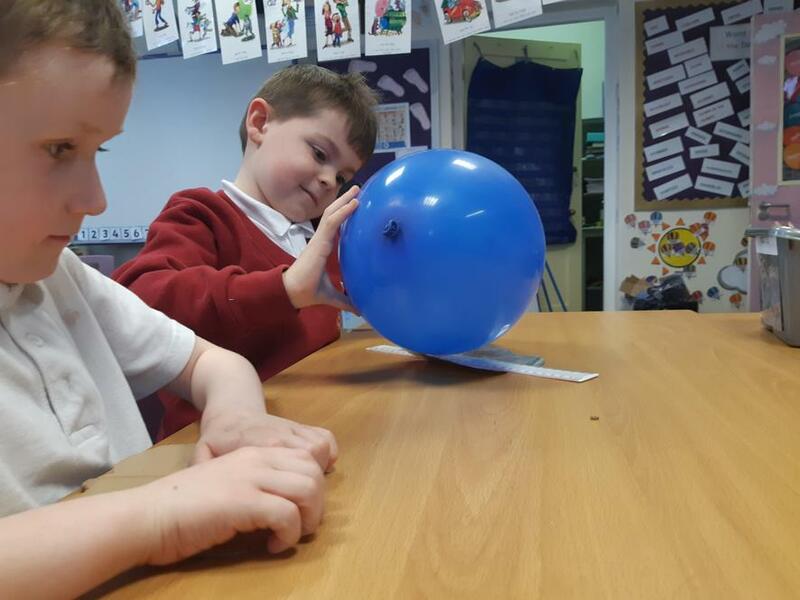 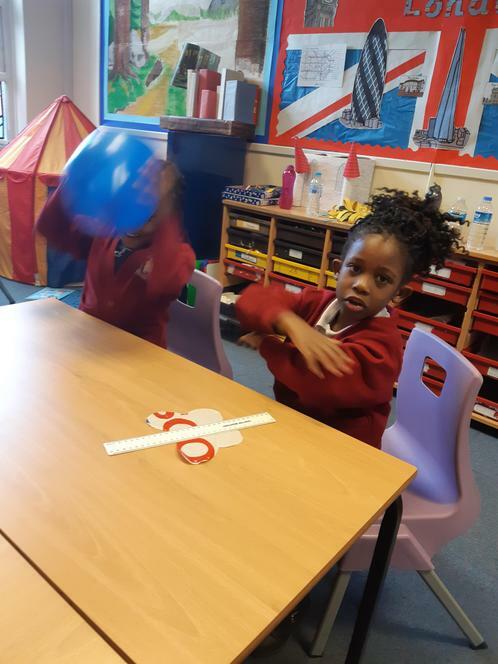 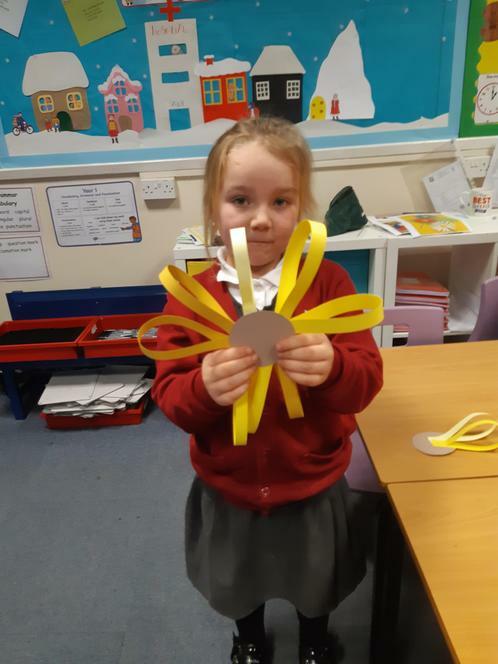 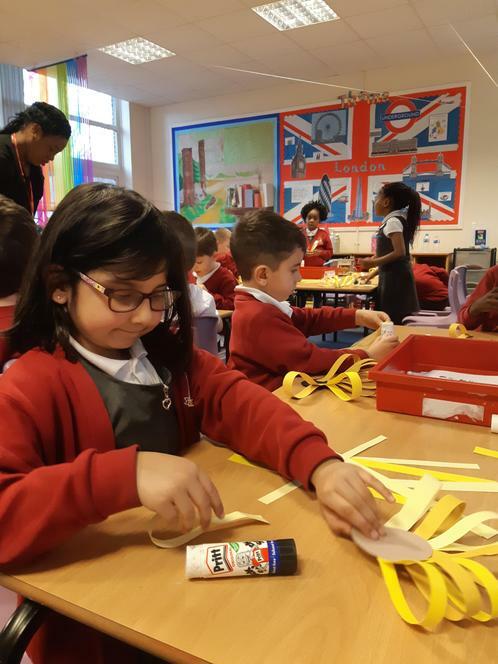 To celebrate the British Science Week, children in Year one have been learning all about static electricity. 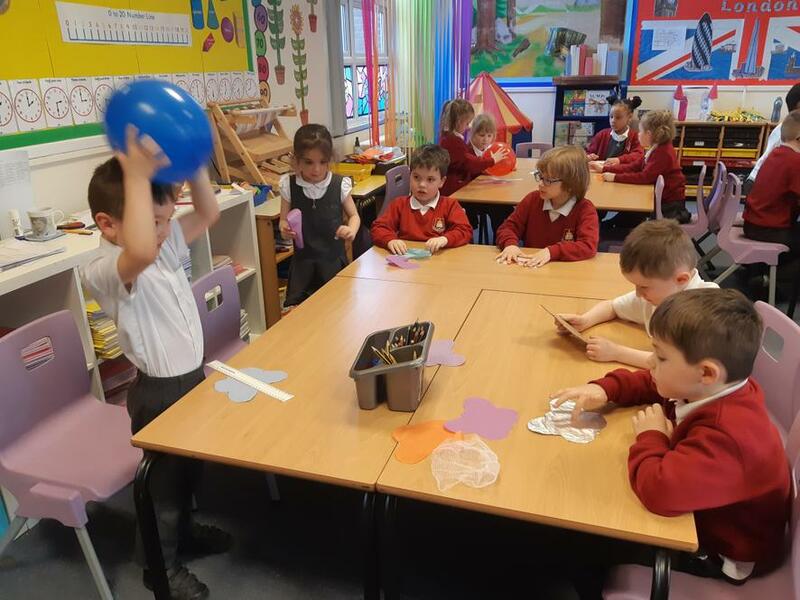 We've used balloons to try and make our butterflies' wings move.